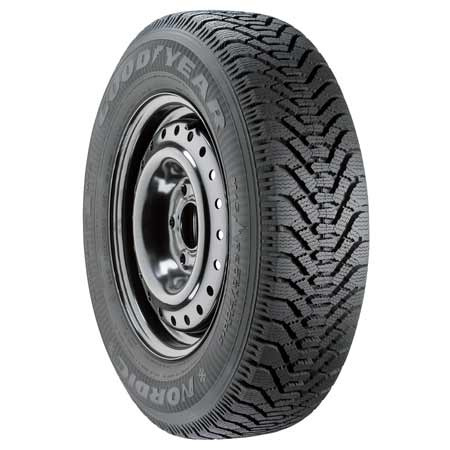 Update: In case anyone cares (this post has been fairly popular), I went with the Goodyear Nordics at Canadian Tire. So far they are actually quite good on snow, but you'll still slide on ice. Winter tires are super expensive, so I thought I may as well put my research efforts out there to help some Montrealers in the same situation (I'm specifically looking for decent P195/70R14 winter tires, so you'll have to figure out what size works for you). I checked out two places that should be popular for many Montreal winter tire shoppers: Canadian Tire and Walmart. Walmart had Nexen Winguard tires at that size listed at $71.00, versus Canadian Tire's Goodyear Nordics at $86.99. If shopping by cost alone this is a no brainer right? Not quite. So there you have it...I have no idea which tires are better, but at least cost won't be the deciding factor.